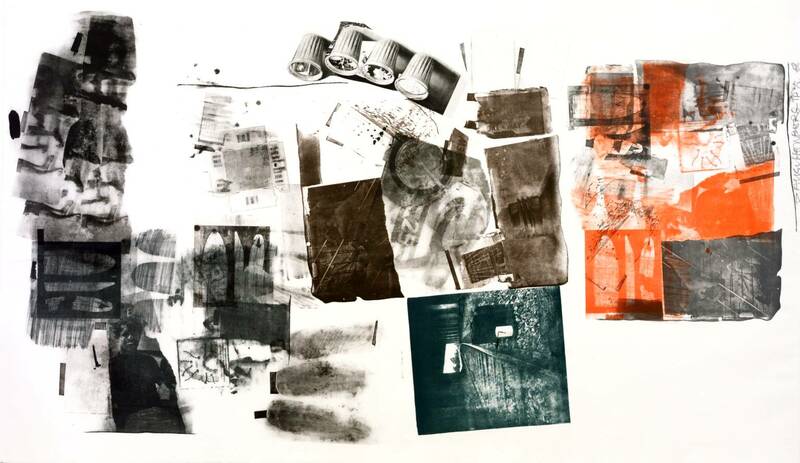 Robert Rauschenberg (October 22, 1925 – May 12, 2008) was an American abstract artist, best known for his mixed media, multi-disciplined “combines” and his white paintings of the 1950’s. The white paintings seem at first glance to be blank canvases, but are, upon closer examination, finely painted and often slightly textured. Rauschenberg’s white canvases are to art as John Cage’s 4’33” is to music. No wonder Cage approved them, calling them “hypersensitive screens” and “airport of the lights”. 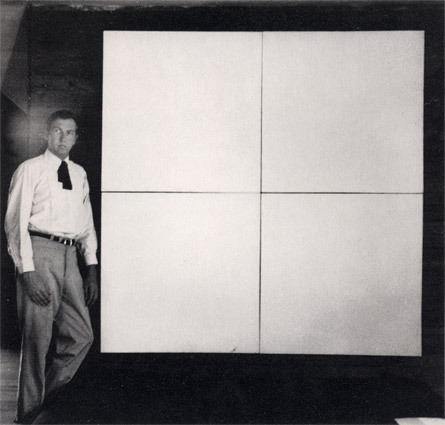 Just as 4’33” presents silence from the orchestra for the entire duration of the piece, forcing listeners to allow ambient sound into their aural field, so do Rauschenberg’s white canvases force a viewer to consider the absence of art as art, the creation of a giant field of reflection and the lack of both subject and colour a subject in itself. They are, I think, to be understood as much as viewed, which makes them both visual and conceptual, using one colour to negate, at least momentarily, all the rest. 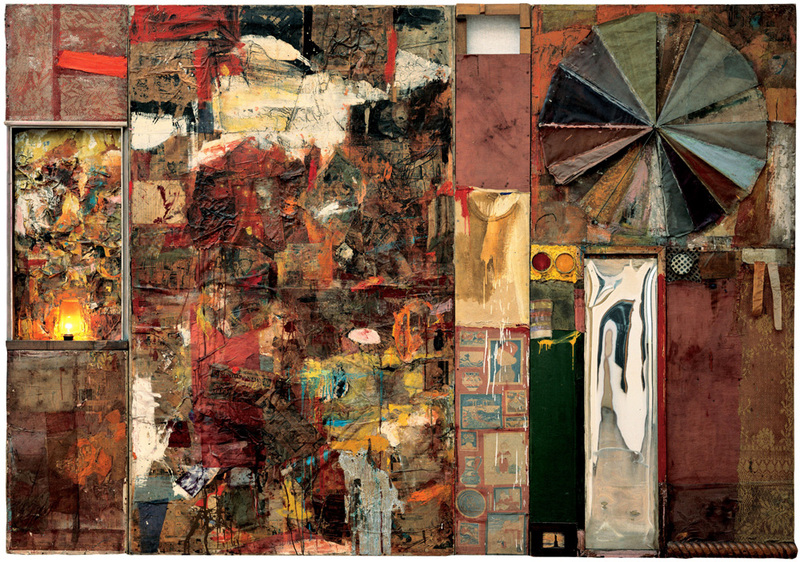 Below are three more pieces by Rauschenberg, beginning with a photograph taken in 1951 of the artist standing beside one of the white canvases.